Get your tastebuds ready because we're so excited to unveil our newest website series, Sips & Bites, a food and drink series that is focused on beautifully and deliciously inspiring treats for wedding and home celebrations. 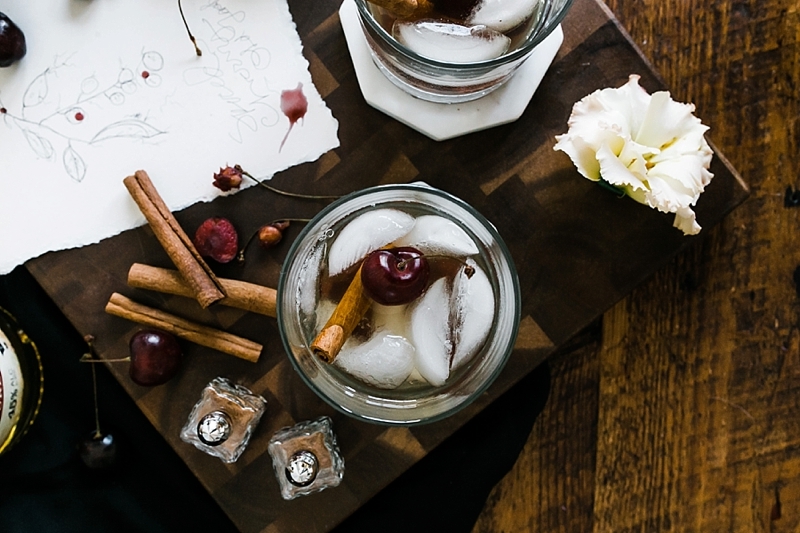 As we're headed into the holiday season, we couldn't think of a better time to launch it into the world than with this fall-inspired signature cocktail recipe! And since this is the brainchild of our Food and Drink editor, Lindsay, we're going to let her take it from here! 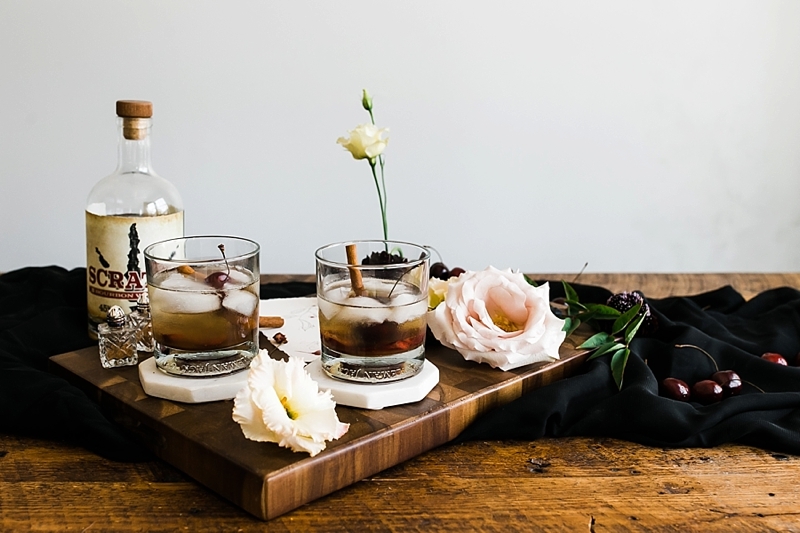 Inspired by Virginia's own Springfield Distillery's Scratch Bourbon Whiskey, Amanda of Amanda Day Rose Florals and Events created a cocktail inspired by the tastes and flavors of fall. 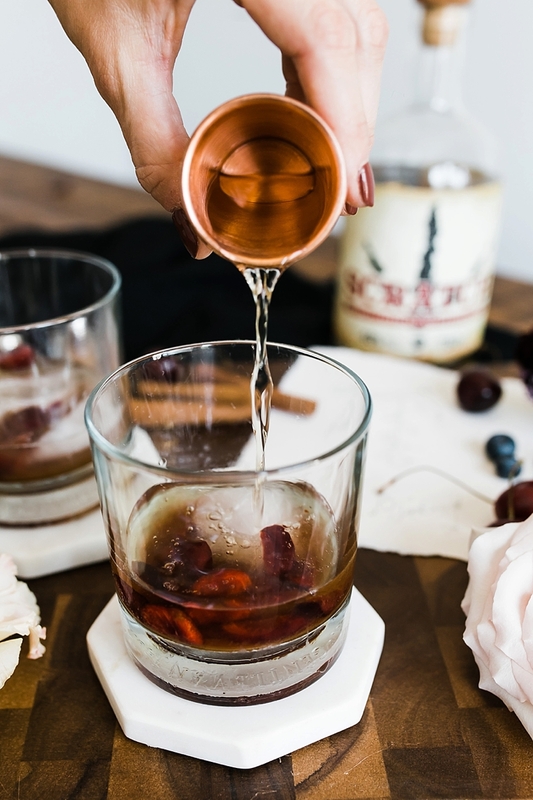 As a variation of the Old Fashioned, this autumnal drink can take advantage of late-season cherries or even defrosted frozen cherries if you have those on hand. As cherry season ends, cranberries would be a great alternative! Bourbon used in this recipe contains wheat/gluten. 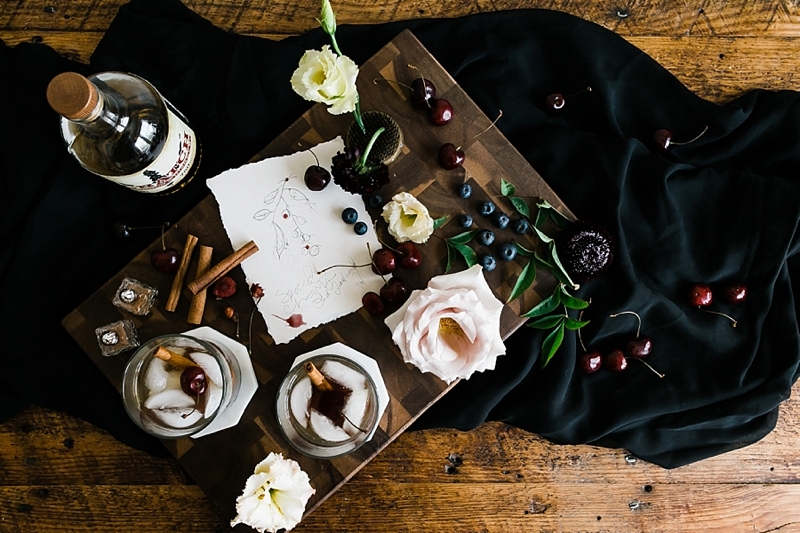 Muddle together 2 cherries and combine spiced simple syrup, ice cubes, and bourbon in a short rocks glass. 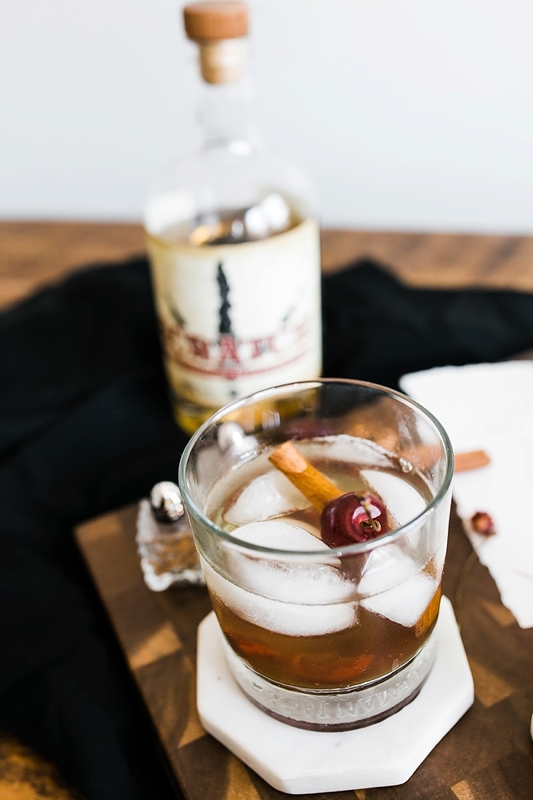 Stir, so as not to allow too much air into the drink to ruin the texture of your bourbon. Top off with a drizzle of honey! Bring sugar, water, cinnamon sticks, and nutmeg to a boil in a small saucepan. Reduce heat and simmer for 5 minutes. Remove from heat. Let cool completely. Pour through a sieve into a bowl and toss bits that may remain. Syrup can be refrigerated in an airtight container for up to one month. Looking to pick your own cherries in Virginia? 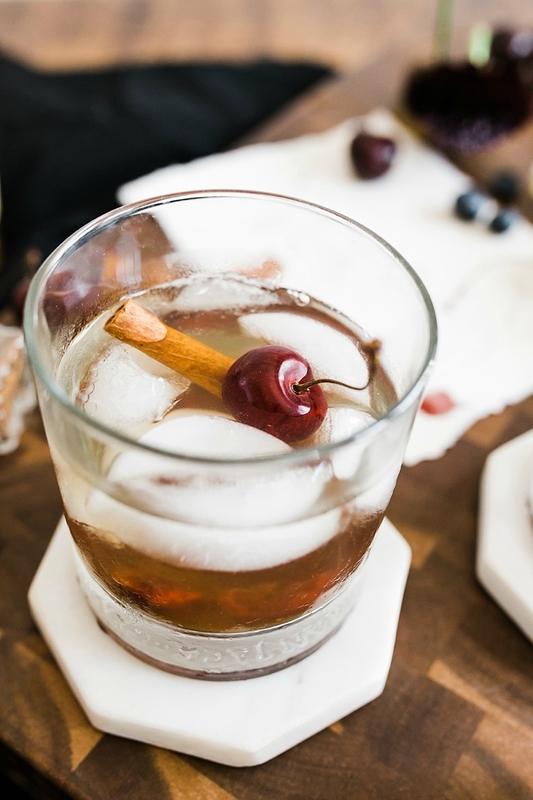 Prime cherry season in Virginia tends be in late May to June, but most orchards love sharing how to pick and preserve your fruit for your future cocktails!